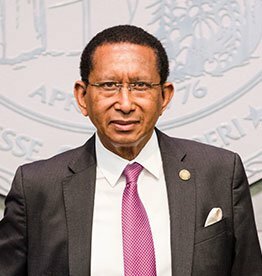 Floyd McKissick Jr. received his AB degree from Clark University in Massachusetts, followed by a Master’s degree in Regional Planning from UNC-Chapel Hill, and a Master’s degree in Public Administration from UNC-Chapel Hill, North Carolina. He later earned his JD from the Duke University School of Law in Durham, North Carolina. Proud to carry on the legacy of the firm, he now practices business law, family law, criminal defense, and administrative law, helping clients in Durham and the surrounding areas in North Carolina. 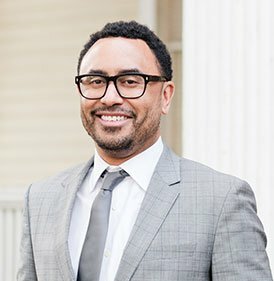 Floyd III handles a variety of matters including criminal defense, including DUI and traffic, personal injury, business law, HOA disputes and a variety of other legal matters. 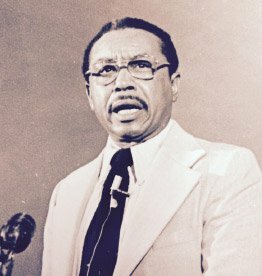 Firm founder Floyd McKissick Sr. was the first African-American law student at the University of North Carolina. After graduating from law school, he established a practice and earned a reputation as a leader handling cases involving discrimination and desegregation, including a school desegregation case where he represented his wife and daughter. One of his most broadly publicized cases involved a segregated black local in the Tobacco Workers International, in which he fought for African-American workers to be admitted to the skilled scale without losing any seniority rating.